A conference paper planning is very necessary for preparing a successful paper. Conference is an event where various topics are discussed under a specific theme. In academic conference, various study related subjects are discussed for the betterment of students as well as parents and teachers. The theme of the conference is the most important thing that has to be kept in mind before preparation of a conference paper. The themes in different academic conferences are like about the core subject based or new scenario or new discovery related. 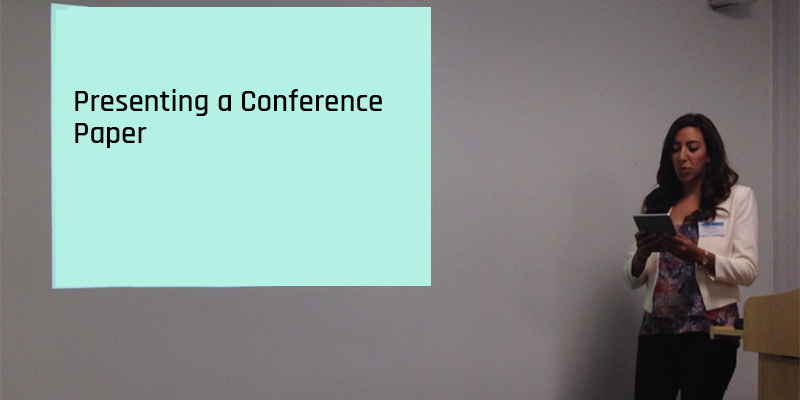 So after selection of the theme conference, the next step is selection of the various subjects or topics under the specific theme and selection of ideal topic by the speaker for the specific subject about which the speaker is having the depth knowledge. A conference paper need to contain sufficient words for describing the topic along with proper reasons and references in not less than two thousand to thousand five hundred words for a 20 minutes conference session. Along with that one should keep in mind that not to fit too much of works as it will run over time. Both of these incidents will leave the speaker not only embarrassed but also rude. If the conference where the paper is to be published is an international conference, then one needs to speak very clearly. The English language can be a second or third language for the listeners so it can happen that the listener may not be familiar with the speaker’s accent. The English is to be spoken and pronounced by the speaker very clearly and properly. The speaker needs to smile during starting the presentation as smiling always lifts one’s voice. Smiling will make a sound of enthusiasm of the speaker even he or she is not. The importance of smiling during paper presentation cannot be overstated by anyone. It will give an enjoyable experience to the speaker and makes him or her tension free. The speaker should try to read the paper at the nose level. One should not read the paper from desk. If the paper is kept at the nose level then the speaker will able to project his or her suitable voice and can also maintain an eye contact with the listeners or audience. Only one theoretical view or idea can be fitted in the conference paper and then one can expand his or her idea in the paper. Then one can explain that single idea within time. One should try to give more pictures and flowcharts rather than a lot of writings as it will give an attractive look to the conference paper and the audience will also feel interest to know about those pictures from the speakers. The conference paper needs to be started with the thesis of the speaker. The paper is to be thought as a guided tour even if it is not the way how the speaker makes his or her writings as the listeners will always want to get some clues of where the explanation is going. It can happen that the study of the topic remains incomplete by the speaker but such things always do not create problems, it can be good. This will give the conference paper an open way for making arguments. This type of tricks will not give any directionless look to the speaker. The speaker needs to encourage various questions about his or her subject of paper. One also needs to leave such things open as it will leave the audience with some comments. The speaker can able to say that he or she will make some thoughts about some developments of the subject later on another date. This will make the audience a feeling of contribution to the ideas for the developments. It will impress the audience about the presentation and the subject. It is very important to make proper preparation in conference paper presentation. But the speaker should not make too much of rehearsals for presentation as by the time he or she will come to give the final presentation will make him or her sounds a dull voice. The practice for paper presentation should not be done in a loud voice as the speaker will get tired during the time of conference in front of audiences. The speaker needs to have knowledge about readings to punctuations. Such knowledge will make a proper clear presentation. A conference paper that is written for academic publication is very rarely suitable to read out in a loud voice. The paper should be specific for the conference and the idea about the subject should be done based on the conference. Such paper presentation will give less formal feeling and a lot of signposts to the audience. It is difficult to organize a conference paper in a little time. A time of one or two days is required for planning an academic conference paper. The persons those are not having any experience of making a conference paper can waste their time in the thoughts of an unimportant little thing without noticing the most important things. Then some speakers need to take proper guidance from his or her teachers or other experienced persons. The organization can able to gain valuable ideas from the speaker for their betterment in working in any project or thesis of other students and research workers. The speaker needs to use power point properly for making the conference paper colorful and attractive. The oral presentation of the speaker should be good and the planning of the speech about the subject should be made within the allotted time. The speaker needs to keep in mind that all listeners are not same; some have least knowledge about the subject while others can have a vast knowledge about the presented topic.